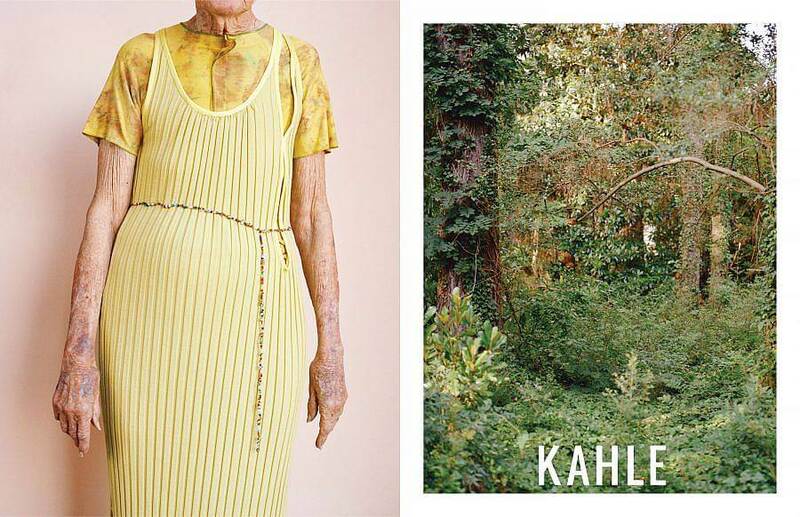 Kahle, meaning unadorned or bare in German, is a women's luxury clothing brand based out of Brooklyn, NY. I’m a maker and designer. I went to RISD for Apparel Design. After graduating in 2012, I moved to New York City and have been working in the Fashion/Design industry since. 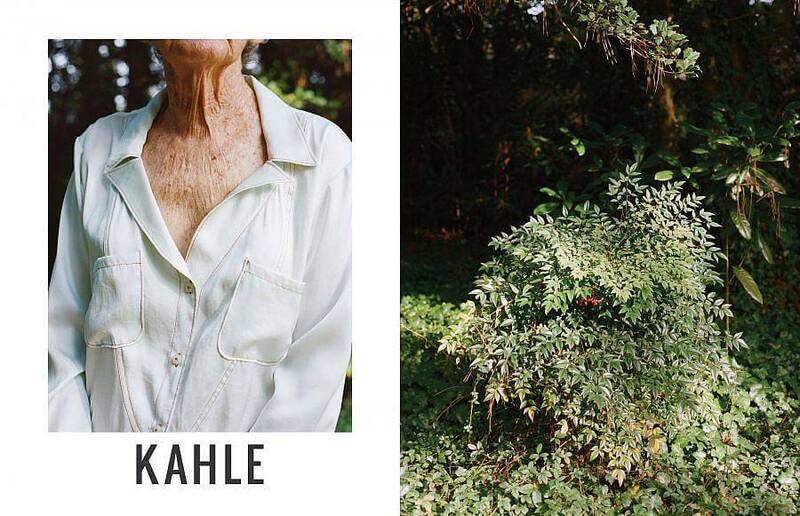 In 2014, I started the clothing brand, KAHLE. I’m always thinking a lot about form and function, wanting to explore new shapes and lines for the body. It’s important to give the wearer options and ways to style a piece. Last year, I decided to take a step back from the fast-paced fashion calendar to focus on my creative practice. My collections are so heavily research-based that I need time to process and develop. The pace at which the fashion industry expects young designers to work can be unrealistic and grueling. I came to the realization that my customers and buyers come to me for interesting/thoughtful designs (not for basics), and if that’s what they want, I need to work my own schedule. Since my interests span different facets of art and design, I see this as an opportunity to express myself creatively and include more than just clothing. Over the past 8 months I’ve been re-imagining the KAHLE brand to offer “seasonless” collections, more capsule releases of clothing and accessories, as well as a new art-object category. With this approach, I can deliver fresh ideas that have been developed for longer. 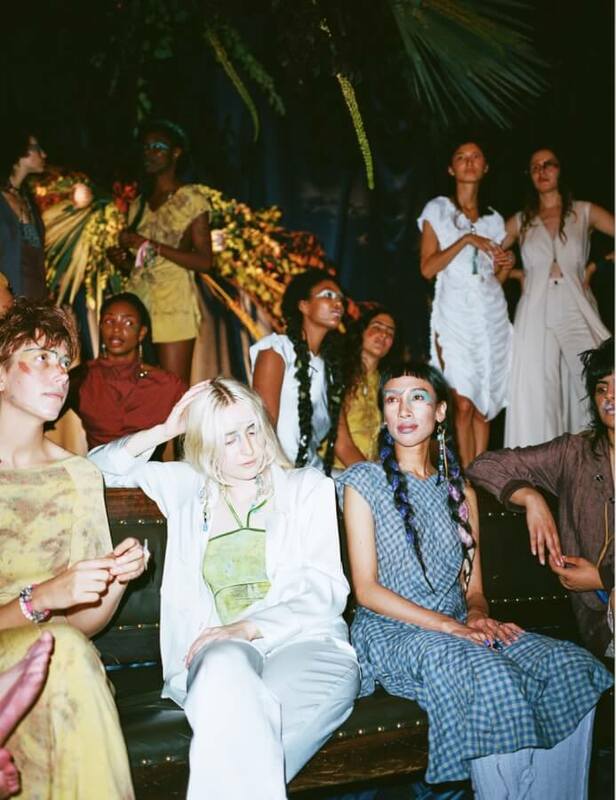 Even more importantly, as a sustainability-conscious brand, I’m able to closely monitor overproduction and waste since I’m offering made-to-order items or small-batches for stores. SS18 campaign for Vogue.com photographed by Nikki Krecicki. Tell us about your work process and how it develops. It often starts with a gut feeling or intuition of color, form, or story. An idea or fantasy draws me in and I explore it further. Research is the backbone of what I do so I will spend time finding images, reading articles, and finding books related to the concept I’ve come up with. Color and fabric-story fall into place after careful editing. From there I’ll look at silhouettes that inspire me and ways of distorting or building upon that shape. A collection rarely finishes the way that it started and I like to let the creative process dictate the results. I think that problems and mistakes are not always bad, they can lead to new and surprising concepts. SS18 campaign for Vogue.com photographed by Nikki Krecicki. 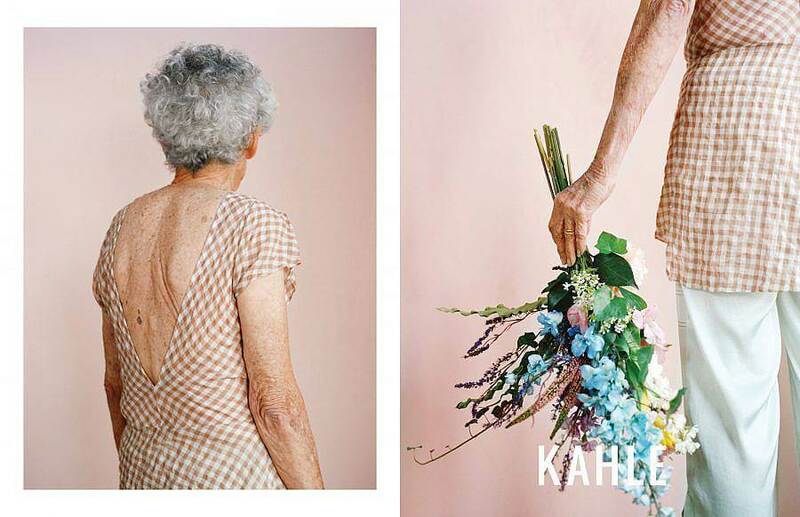 The model is Nikki’s 90 year old grandmother, Jane. How long have you lived in New York City and what brought you there? I’ve lived here since 2012. After graduating from RISD, I moved to NYC for opportunities in fashion design. Outdoors. In the mountains, by the ocean or in a park. Looking back, I kind of lived two different lives in High School. I grew up in a stereotypical suburban-American setting in Pittsburgh, PA. I played tennis, lifeguarded at the neighborhood pool, and worked retail at the mall. When I wasn’t (participating in high school activities) I would stay up late, locked in my room, watching movies, reading art and fashion magazines, making collages, drawing, painting, and sewing. I realize now how lucky I was that I had such supportive parents who encouraged my love for creativity and mature taste in the arts. When I was only 11, they convinced the local art center that I should be in the ‘Adult-level’ painting and ceramics classes. As professionals with Chemistry backgrounds, they instilled a level of curiosity and determination in me. I remember at the end of Freshman year, I decided to make my Homecoming dress from a Vogue pattern I bought at Jo-Ann fabrics. I was very close to finishing it but couldn’t get one part of the sewing right and out of passionate frustration I threw it in the trash. My dad made me take it out and finish. I ended up making (and completing) 12 dresses over the next 3 years of High School. Who have been some of your favorite people to collaborate with? 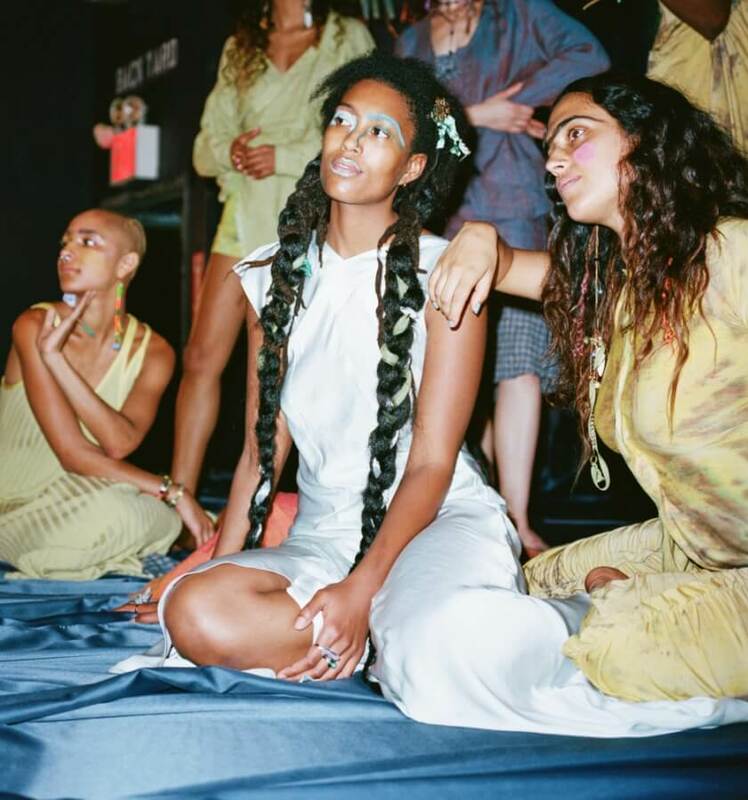 To date, my favorite group of people to collaborate with was the team I put together for the SS18 collection presentation, held at a venue in Brooklyn. It was a huge collaboration between female artists, poets, performers, and dancers. There were a total of 16 women who performed a choreographed dance, with a spoken word and musical component. It came together so organically. Renata Pereira Lima conceptualized the choreography and Jasmine Nyende wrote and delivered the spoken word segment based on our conversations about femininity and the complexity of “female” representation, as well as embracing the dark and light sides of ourselves and others. How has Instagram changed the industry for you? One the one hand, Instagram is this great tool that opened up a world of people who connect with the brand and it’s message. I’ve felt inspired by the diversity of our followers and the individualism that exists on this platform. However, as a small-brand in the big fashion industry, it can be complicated to protect ideas and designs from being copied or ripped off. It’s also hard to not feel overwhelmed or distracted by the amount of content that is so readily available. What are some of you favorite movies? Only Lovers Left Alive, The Fifth Element, Kill Bill 1&2. A linen robe that I wear as a jacket and a dress, over and under practically everything. I’ve found that the brand has no specific demographic in terms of age, and that is really inspiring. 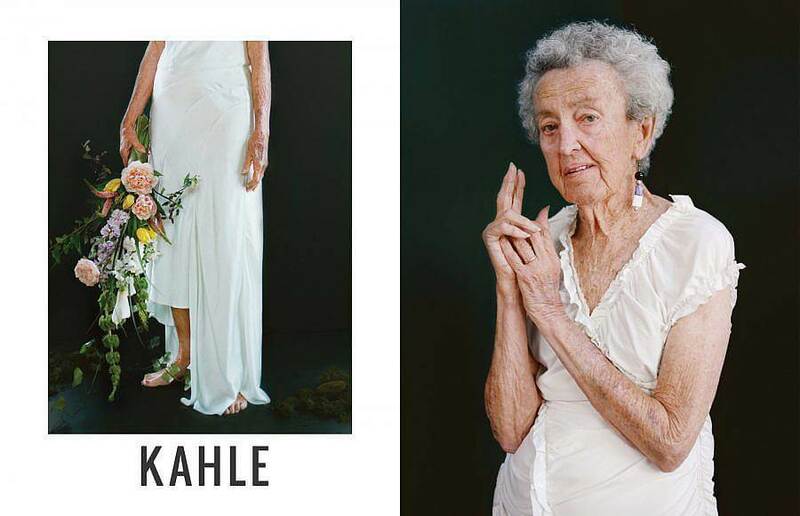 I hear a lot of stories about mothers and daughters who shop KAHLE and both find something they love.